My friend works in a consumer goods company and he reports to the CEO. Yesterday my friend called me. He was frustrated. He wanted to send an important proposal to his boss and he had worked on this project for more than a week. When he asked his boss for some time to discuss the matter he was asked "Send me 5 slides." CEOs are busy and so is everyone. Whether you are sending a sponsorship proposal to a company or a CV (resume) to a prospective employer, everyone is busy. The recipient does not share the same love for your PPT as you do. Hence it becomes important to condense your hours of work into something easily digestible. The challenge which my friend is facing is actually good for him. 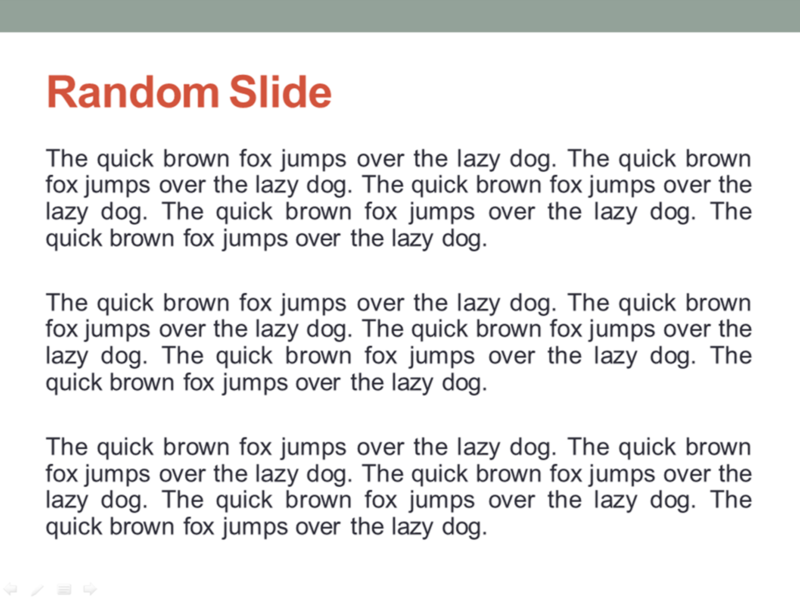 Try reducing every presentation you make to 5 slides. Not possible? Give it a shot. Even if you don't present just 5 slides, this process will bring amazing clarity to your mind. You will end up with the really meaty stuff (that matters) and you will be forced to eradicate the less important stuff.